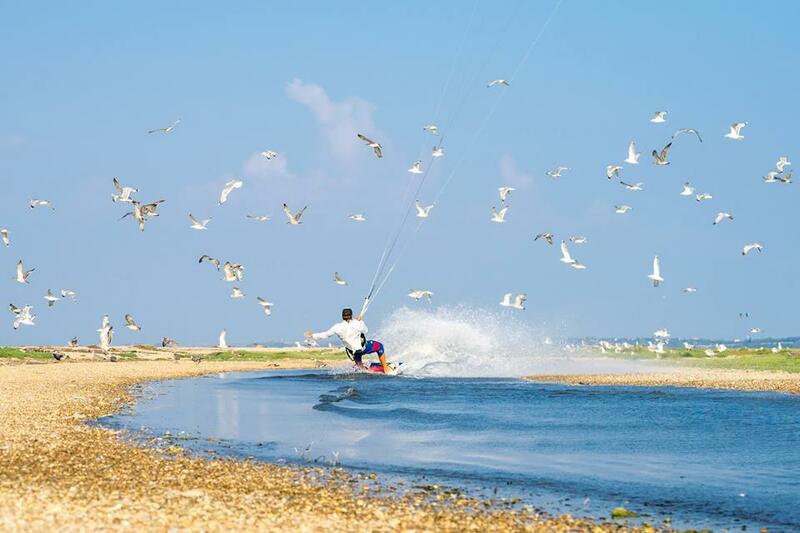 We Have Prepared a list of best places for Kitesurfing in August for you. This spots selection is based on our experience and best riders all over the world recommendations. A number of schools will be happy to hots you in El Gouna, Egypt. Well known shallow lagoon with good wind conditions. Appropriate destination for all levels of skill riders. Can be a bit too hot in August (+35-37), but if the stabile wind and easy accessibility is more important for you think about EL Gouna for next three weeks. Several spots and schools of Fuerteventura are waiting for you in August. Easy destination and excellent weather and wind conditions are talking for itself. You will receive 3 km kite zone on beautiful kite beach, sideshore wind which can sometimes turn onshore during the hottest time, flat and calm water. Is it not enough to pack your kite and go? Maybe some good restraints and hotels where your family can stay while you are killing yourself in wind and water are also should be motioned in addition. Very special and tricky spot, perfect water and wind conditions are prize for pro riders but be careful and prepare yourself, check all conditions and relief on spot. Perfect clean, blue water. Perfectly flat out about 400-500m then reef breaks and sand bar breaks. About 1-3m deep all the way out to reef. Reef does provide a good surf break left and right on a big swell. Inside lagoon is usually very flat, but strong currents can make the spot tricky on days with good swell. On the reef there are three different types of waves: the small wave on a rock seaweed bed is suitable for intermediate levels, care should be taken for the current that rips past. The main reef wave between Manawa and One Eye is the real killer. SE wind is usual for this spot and it is stable and daylong in August. Several spots are in your disposal here at Naxos. High probability of good wind and magic of Greek islands are the reason to pack your stuff and go kite. Flat to choppy water, shallow areas. Safe conditions within the bay, on the outside the swell forms’ perfect ramps. Wind can be up to 15mpc, blowing mainly from early afternoon till sunset. Sometimes local wind named Meltemi and blowing from north to northwest across the Aegean Sea can be very strong and gusty about 35-40 knots - 18-20 mps. Constant thermal sideshore wind 'Mistral' with 15-25 knts. Best time is June to August with steady NW or W winds. After August check the forecast for strong SE and NE winds. Kitesurfing is the only sport activity allowed by government on this spot. So, the whole long, wide and sandy beach is at your disposal! No rocks and flat water. 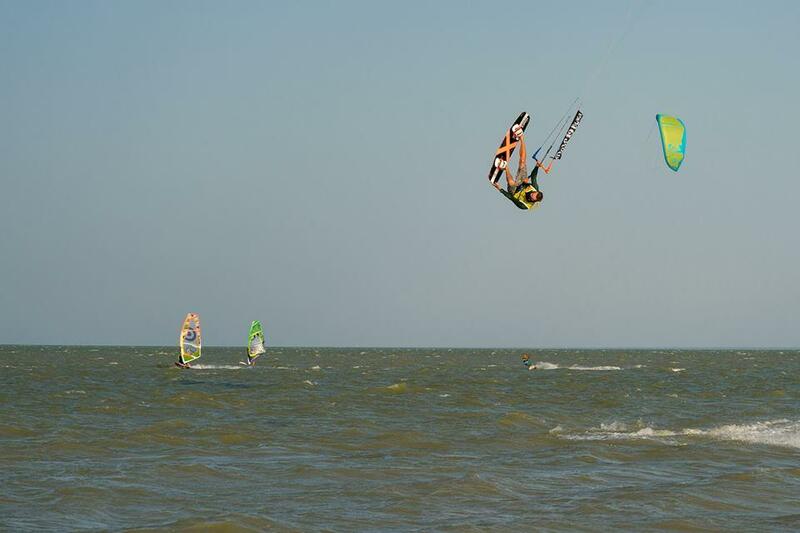 August is the end of windy season and perfect time to start your lessons or train some new tricks. it is probably the most unbelievable place in the world. Long empty paradise beaches with white sand, and variety of clean water. Water can be flat or wavy depends on your own choice. You can ride flat inside the reef barrier or go out of the rife and catch waves, just be careful and watch reefs. The lagoon is knee deep at low and medium tide. The winds named Kusini and Kaskasi blows trough the whole August and even till October every day and mostly in parallel with the beach.